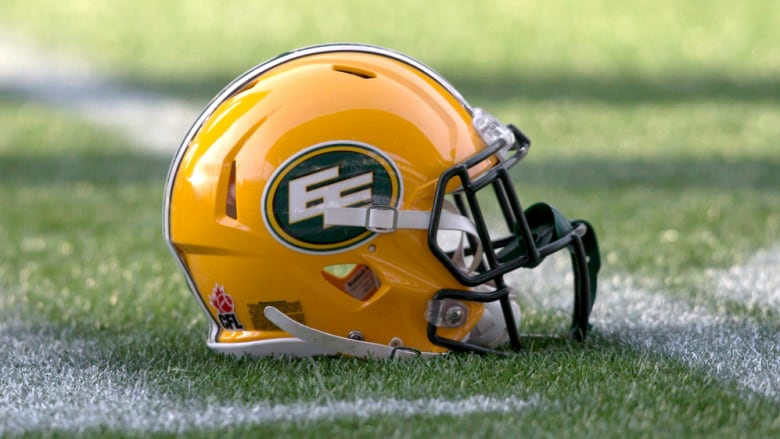 The Edmonton Eskimos football team is asking its fans whether it should change its name. The debate has been around for years, and Inuit leaders have said the current name is a derogatory term that symbolizes colonial policies. The Edmonton Eskimos football team is asking its core fans whether it should change its name. The question has come up in the team's annual survey of season ticket holders. This is the first time the question has been formally posed to fans, but that doesn't necessarily mean a name change is going to happen. "I wouldn't read it that way," said Allan Watt, Eskimos vice-president of marketing and communications. "Our name comes up in discussions more and more. It's the most polarizing discussion that you can have in and around what we do," Watt said. "We've been asking people to share their thoughts with us, all of it on an informal basis, and that's what prompted us to think that it was important for us to do something on a more formal nature." CFL commissioner Randy Ambrosie weighed in on the controversy at an event in Edmonton Tuesday, saying that "pride, respect and honour" are all that come to mind when he thinks of the team name. "My personal reflection has been that of all the wonderful things that I've been privileged to do in my life and all the organizations I've had the pleasure of being associated with, I'm not sure there's ever been one I was prouder of than being an Edmonton Eskimo," Ambrosie said. "Ultimately, this is an issue for the Eskimos, for the fans here in Edmonton, for the team here in Edmonton, for the relationship between the citizens of Edmonton and the Inuit community." The debate has been around for years, and Inuit leaders have said the current name is a derogatory term that symbolizes colonial policies. The 34th question on the survey asks whether the team should consider changing its name in the future, and offers options of "Yes," "No," and "Don't know." There is a general comment box for feedback at the end of the survey. The survey has gone out to over 5,000 season ticket holders, Watt said, but the team has no plans to formally pose the question to fans more broadly. Watt said it'll take until mid-April to gather all the data, at which point it'll be analyzed. "It gives us the opportunity to see what our fans are thinking," Watt said. Matt Machado, a season ticket holder for 16 years, has already answered the survey. He said the current name should stay. Machado, who is not Indigenous, said he does not believe the name is offensive and does not understand why the team would cater to what de describes as a "vocal minority." He said he worries a name change would erase the team's history of charity work. "When people think Eskimos, the first thing they think of is the team," he said. "Nobody ever turns around and then thinks, 'Oh you're speaking about Indigenous people up North.' So what you would essentially be doing is erasing 60, 70 years of history surrounding this team. "The vast majority of people that I talked to say that they should not, so I'm hoping that this survey is finally their way of driving the nail in the coffin of ending this debate." Norma Dunning, an Inuk woman and PhD student in Indigenous People's Education at the University of Alberta, said it's about time the name is changed. In an interview with CBC News last year, she said the word "Eskimo" is a demeaning term that encompasses how Inuit were viewed and discriminated against during the colonization of Canada's North. It is not a term Inuit use to describe themselves, she said. She said she is, admittedly, not much of a football fan. She's been to one game in 27 years of living in Edmonton, though she did enjoy it. On Tuesday, she said it makes sense the organization would pose the question to season ticket holders — those who have demonstrated consistent loyalty to the team — but wishes the survey would be issued to a broader fan base. "People have an extreme amount of loyalty toward teams, and I wish people had that energy and would place it into social justice," Dunning said. "I think it would be a nice demonstration of reconciliation," Dunning said. "Because we haven't seen those actual steps come to fruition yet within our country."